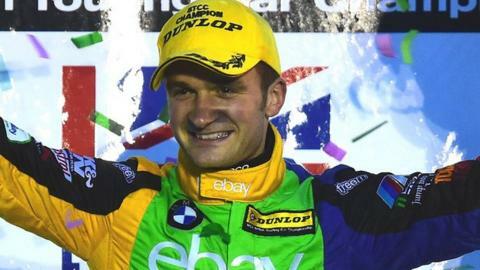 Northern Ireland's Colin Turkington has won the National Racing Driver of the Year award after regaining the British Touring Car Championship. The 32-year-old from Portadown picked up the prestigious honour at the annual Autosport awards on Sunday night. WSR BMW driver Turkington won his second BTCC title in five years with eight victories and 434 points. He received the award from Williams Formula 1 deputy team principal Claire Williams and driver Valtteri Bottas. Turkington finished on the podium at least once at every race meeting during the year and won the championship by 35 points from Jason Plato of England. "British Touring Cars is never easy, never straightforward, and it always goes down to the last round," said Turkington at the awards ceremony in London. "This year was no different, and with seven champions on the grid it was more difficult than ever."